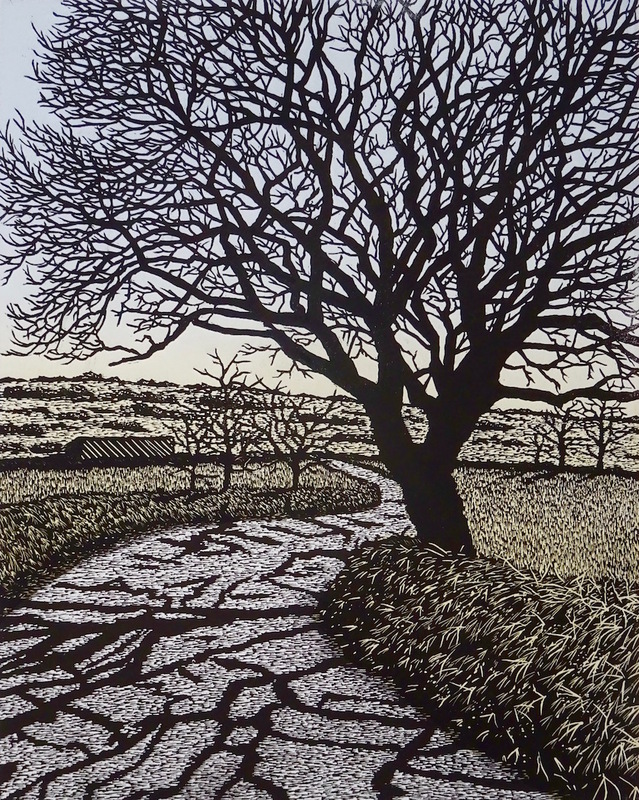 This original, unframed print is one of an edition of 90 printed on thick Somerset paper. I made it by carving a piece of vinyl to leave the dark parts of the image in relief, then I inked it and put it through my printing press. I live in the Dartmoor National Park in Devon and often walk the lanes and moors around me. This lane led to a moor near the beautifully-named hamlet of Babeny. I was struck by the tree spreading over the road and the contrast between the pasture fields and the gorse-studded moorland I was heading for. I always feel freer when I can step off the tarmac on to the moor, hence the title.